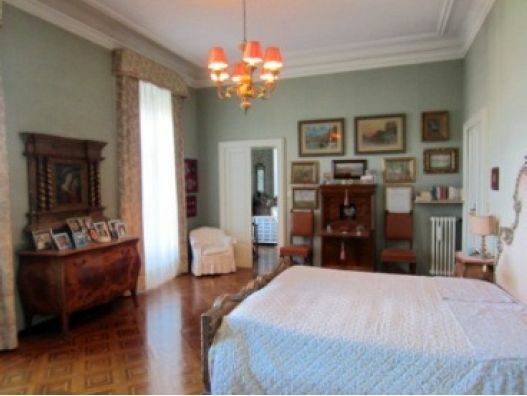 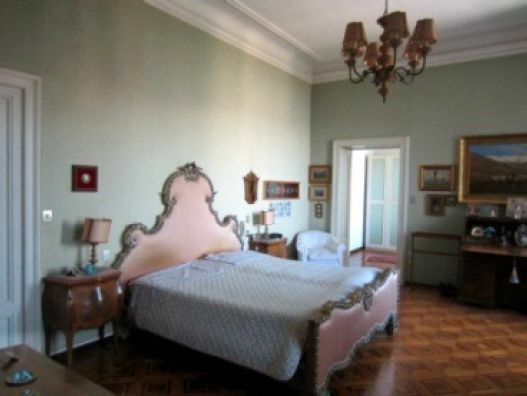 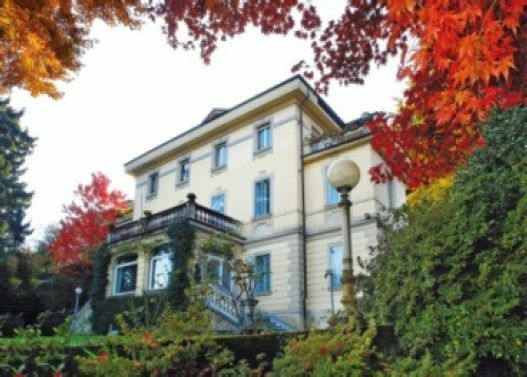 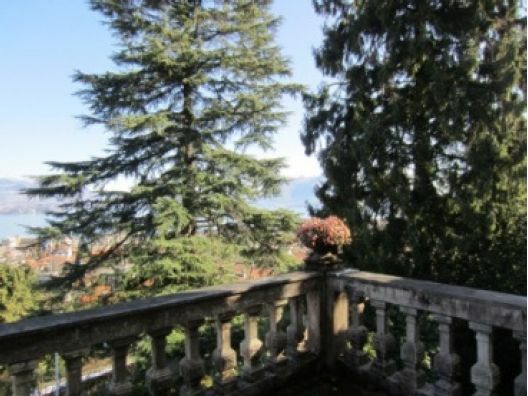 Lake Maggiore Period Villa in Stresa with large mature park and wonderful views of the lake. 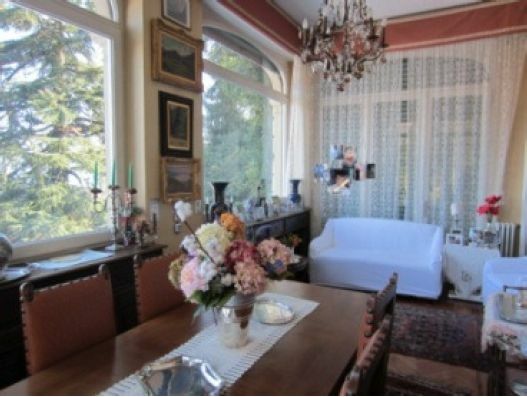 The villa was built in 1910 in a quiet area with panoramic views just behind the center of Stresa. 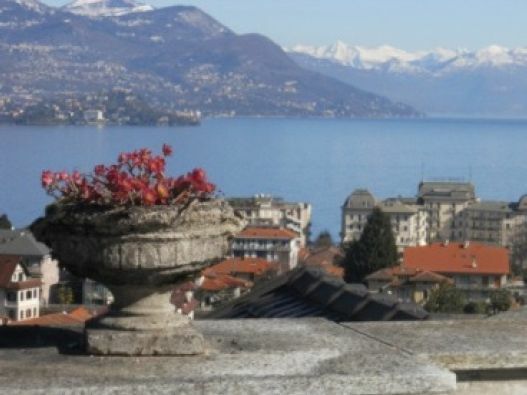 The dominant position ensures great views of the lake and the Borromean Islands. 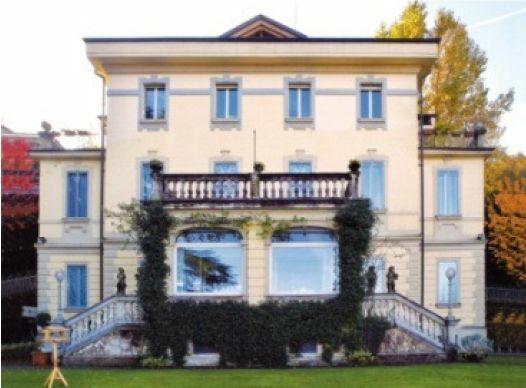 The villa has been designed with the typical architectural style used at the beginning of the century: decorated framed windows, rectangular masonry work on the façade of the ground floor (Ashlar), elaborate stone balustrades to the canter front double staircase. 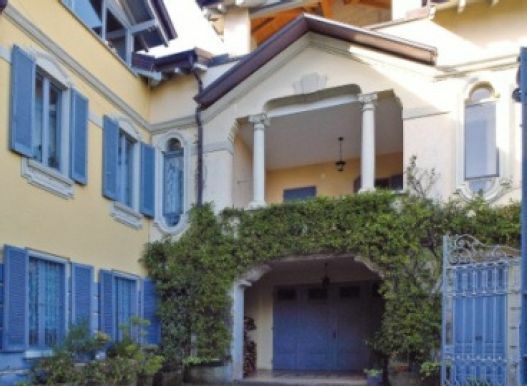 The villa is laid out over four levels, the main entrance is on the raised ground floor, leading into the double reception rooms, library, dining room, TV room, bathroom, kitchen and smaller dining room. 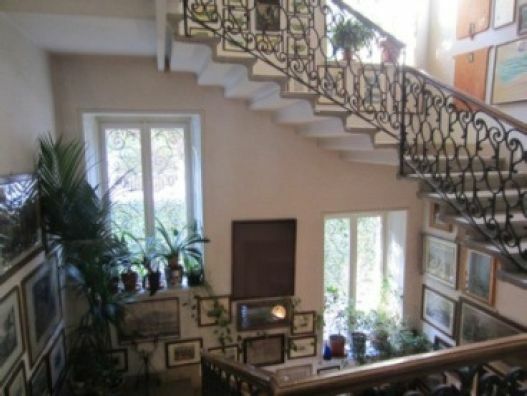 A wide stone staircase leads to the first floor where there is a master bedroom with bathroom and dressing room, another large bedroom, panoramic terrace, two guest bedrooms with bathroom. 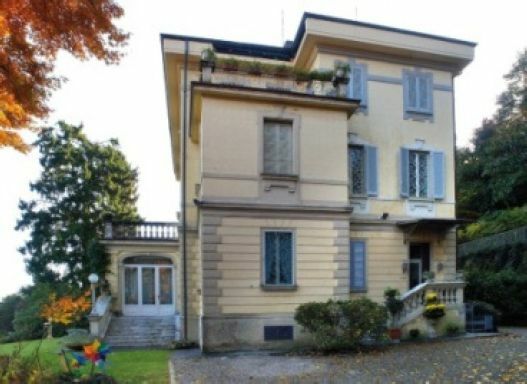 On the second floor there are two large bedrooms, library, large room used for wardrobes, two terraces, bathroom and storage area. 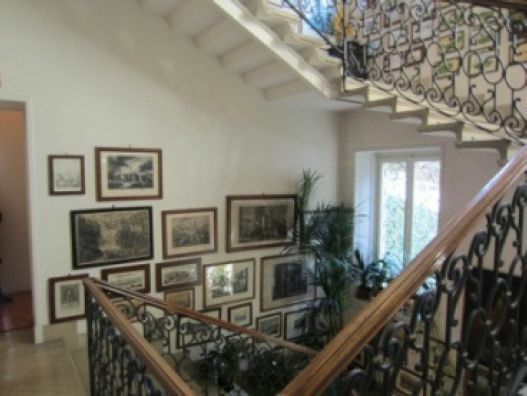 In the lower ground floor there are several cellars and technical rooms. 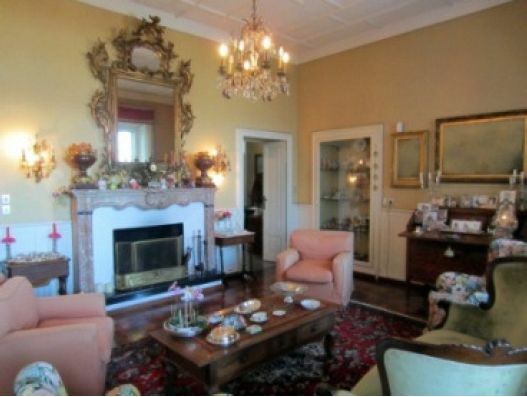 The gatehouse consists of two apartments of approx. 200 sqm and an attic of 120 sqm. 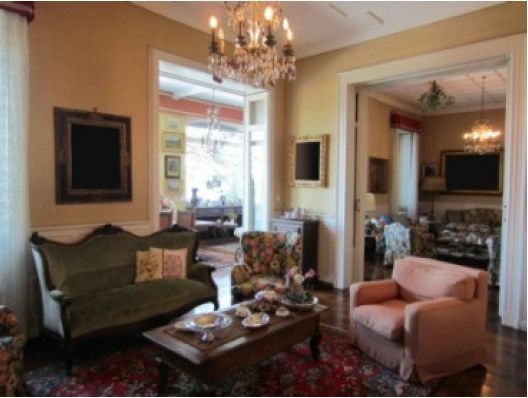 The villa has a total area of 830 square meters and the park is about 4500 square meters. 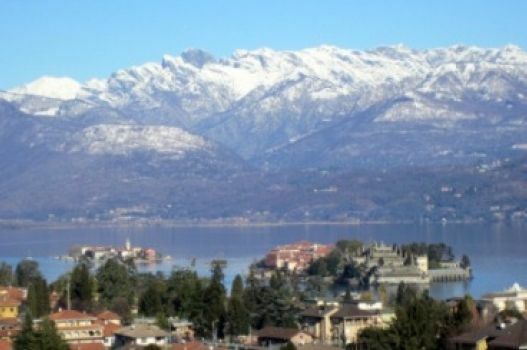 The center of Stresa with all its services and the lake front are within walking distance.